ASI Newsletters | Art Sphere, Inc. 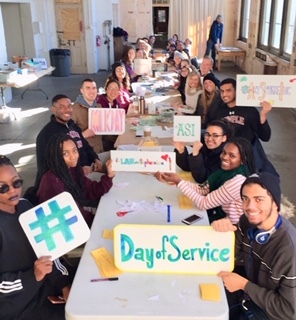 Even though the news warned us about the frigid temperatures, keeping some people away, it ended up being a fabulous MLK Day of Service on Monday thanks to our 70 volunteers! We actually ran out of chairs and table space, yet people kept coming, and we all pulled together to find places for everyone! In the end, we prepped an enormous amount of art projects for our upcoming Winter, Spring and Summer – really getting our organization in a good place for starting the new year right! 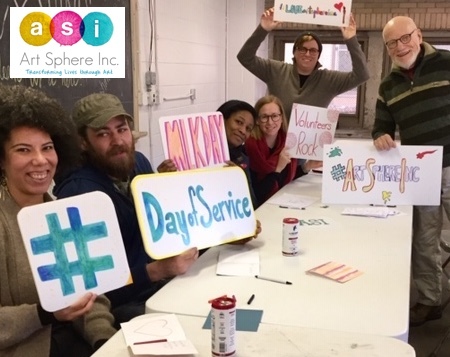 As we celebrate Dr. Martin Luther King Jr.’s birthday 90 years ago and our recent 20th anniversary as a volunteer-based non-profit, we feel it is so important to tell you why volunteers are so important to our success and how they define our community. 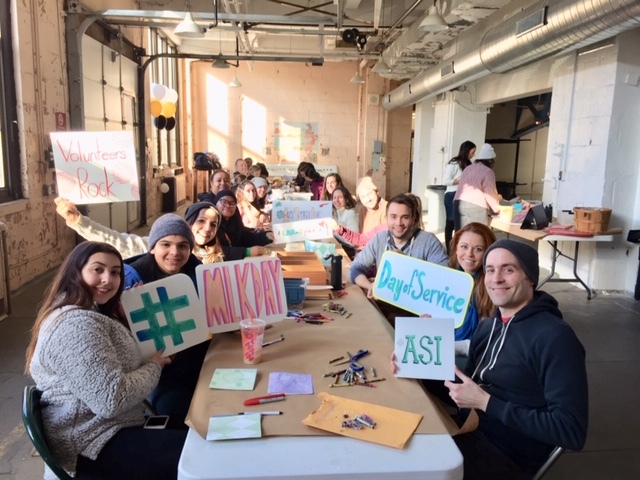 Volunteers keep ASI connected to people who care across the city and beyond. 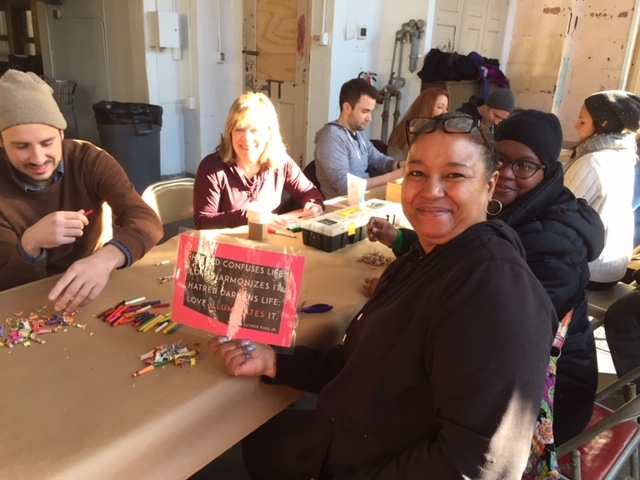 As active members of society, they contribute to the health and vibrancy of the city and surrounding neighborhoods, willing to roll up their sleeves and get their hands dirty. So a big thank you to all of them. Volunteers, you are genuinely appreciated. They are solution minded and their contributions are an important component to help Art Sphere Inc. serve 650 inner city youth with free 10 week art programs. They donate art materials and time saving countless hours so teachers can focus their energy on youth and so students have instant success that motivates them to explore more. 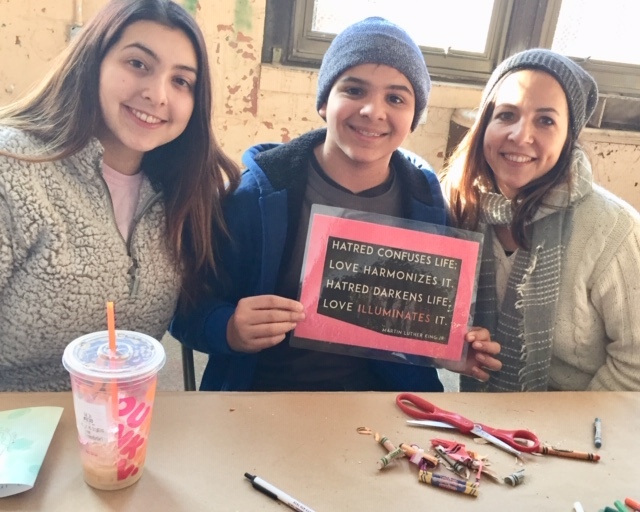 Their practical efforts make us more effective as educators and run efficiently and reach more youth with meaningful art projects on themes that weave literacy, diversity, environment, math, science, health and wellness. So often our students come to class discouraged and ready to to criticize their artwork. They can be daunted by not being able to cut the perfect circle, often they are ready to give up before they even start. 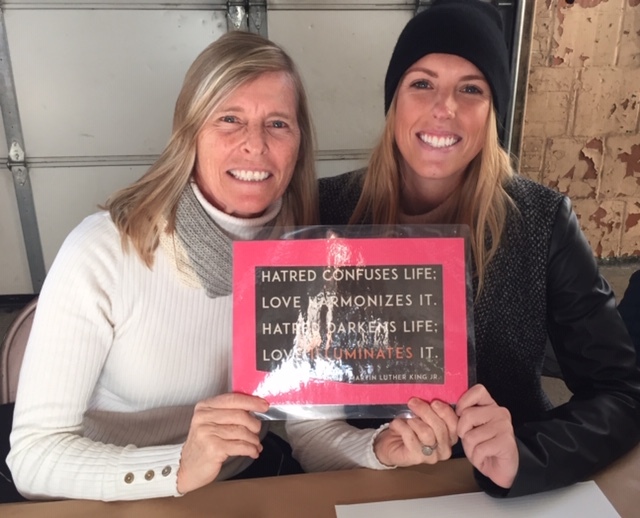 This MLK day, volunteers made 151 affirmations to inspire youth for our fish bowl. When students are feeling down or using negative self talk we will pass around bowl to “go fish” for a better thought. Having students write about themselves as heroes in their own story and simple projects like this helps student have a more positive self image. Its a hard world to live in where you believe most people are cruel and hating and a beautiful world to live in where you believe most people are kind and caring. For our preschool art programs, volunteers folded 55 origami books (reusing fliers left over from our 20th anniversary event), cut detailed Philadelphia city skylines out of black paper, blue ocean planets and continent forms, stars and tinfoil moons, people for our 3D Model house and neighborhood project, dreamcatcher feathers and hoops, bulldogs for our taking care of pets project and St. Patrick Day Cards where students talk about what makes feel them truly lucky in life. Volunteers hot glued googly eyes, pompom noses and pipe cleaner whiskers for 95 paper bag puppets in preparation for John Heinz National Refuge Ground Hog Day Event (February 2) where we expect to serve 200 youth with free art making about conservation of wildlife habitats and recycling. 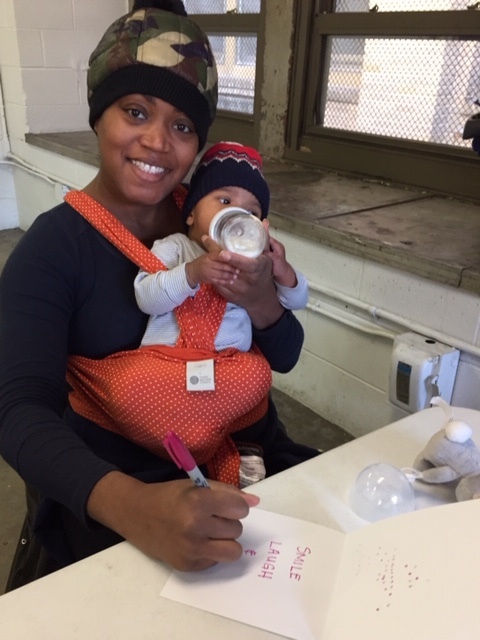 We serve roughly 2000 families through one day workshops. Learn more on how to volunteer with ASI and check out our calendar. 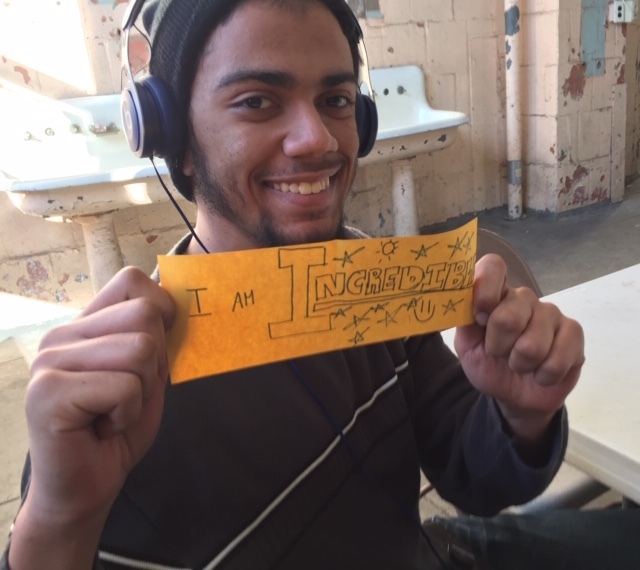 Volunteers were so mindful of our art material resources: they cut the brown paper table clothes into personal pizzas for students to collage while bagging their other paper scraps for pizza toppings, they even competed for how many shapes they could fit on a piece of paper. Our youngest MLK Day Volunteer! Another benefit of joining us at events is to learn more about our internship programs. We have two new interested intern candidates from this event. We work with many colleges including Drexel University who support our efforts with paid internships. Many schools give college credit for participation in our programs. To learn more about our internship opportunities check out our website. Much of our work was almost meditative and relaxing as our volunteers helped us recycle our old crayons by removing the paper for students to use as new materials to make rubbings and explore mixed media wax resist painting. 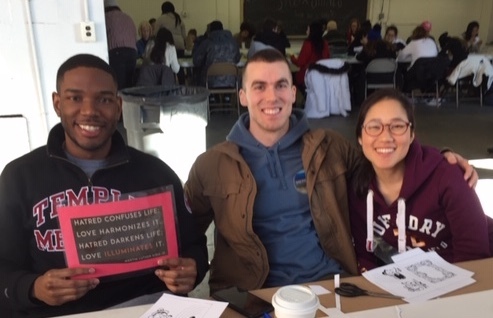 Thank you to Long time Volunteer Partner: Temple University Medical Students! 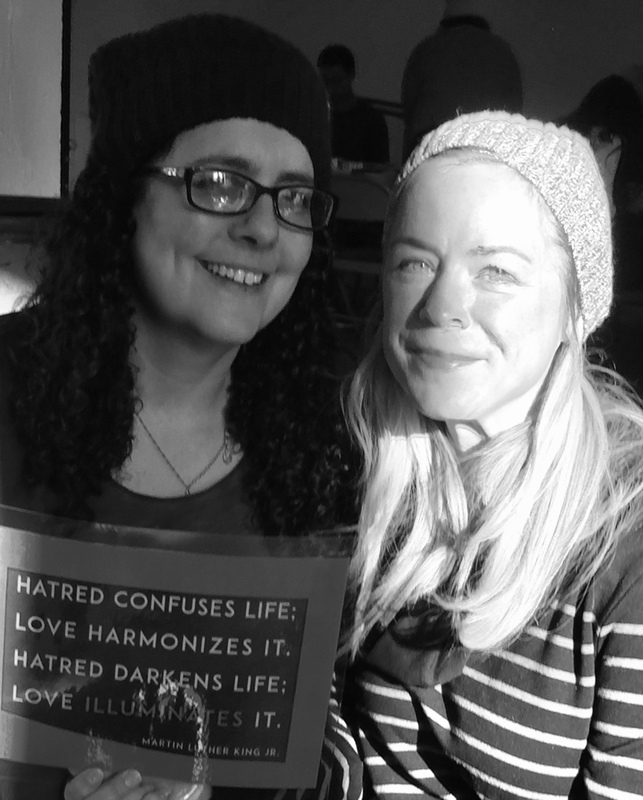 Our Volunteers helped us spread our message that together we can make a difference. 🙂 Share our message thanking volunteers everywhere for caring and connect with us on facebook! Share the post "ASI Winter 2019 Newsletter"